In 1997, The New York uncovered a nest of giant turtles in the New York sewer system capable of snapping off a man’s hand in a single bite. One specimen was captured at a Bronx treatment plant and sent to the Bronx Zoo where it was declared patently ‘prehistoric’. The Blizzard of 1888 immobilized the city, responsible for the deaths of hundreds and shutting down almost every element of New York infrastructure. It was such a devastating storm that there could only be one cause — beings from outer space. 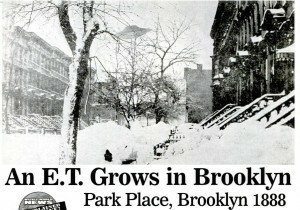 As proven in the photograph above, obtained by the Weekly World News in 2007 from a source at the Brooklyn Eagle, flying saucers menacingly hung in the air over South Brooklyn during the storm. 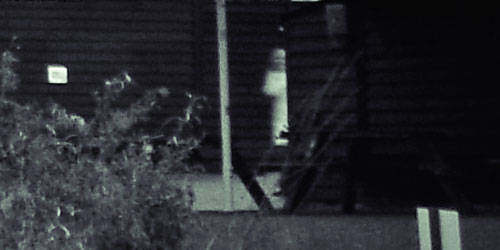 “We were being tested,” claimed a representative from the government’s Unexplained Phenomena Bureau. Apparently, we passed. A gathering of phantoms terrorized socialites along Fifth Avenue in 2006 as they marched down the street in a parade, walking through traffic and alarming law enforcement. A police barricade at 57th Street proved useless as the spectral community simply passed right through it. 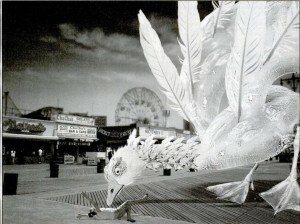 It is particularly irresponsible of the city to cover up the deadly event which occurred on Coney Island in July 2007, when an ‘undulating amoeba’ with the head of a duck and webbed feet rose from the ocean and attacked people along the boardwalk. The beast apparently destroyed the Cyclone — it was swiftly repaired — and viciously went after the Parachute Jump before its ‘viscous body’ evaporated before the eyes of stunned police officers. Certainly you remember Mayor Bloomberg’s lame story about this event being ‘an aberrant form of ball lightning’? Well, the News blows that lie right out of the water. The aquatic population of the East River is not immune from organized crime, as one Lower East Side resident discovered in 2007 when he awoke one morning to discover seven dead trout in his bed. Officials tracked the crime to a deadly internecine war among the ‘trout, carp and bass’ of the river. “We think they have fishermen on the payroll,” said one detective. But it’s not been all horror and doom for New York City in the pages of the Weekly World News. According to a 2002, article, the legendary Fountain of Youth was discovered underneath the streets of the city. One catch — it’s in a subway toilet.